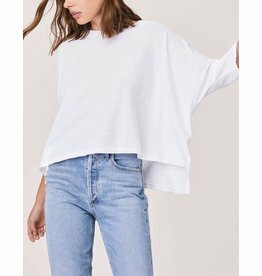 Put off your responsibilities until tomorrow and chill out in this slouchy tee perfect for a lazy day on the couch. 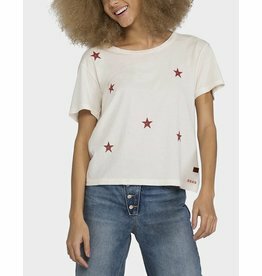 The Elvis Tee makes its mark with a repeat distressed star graphic motif at across the shirt. 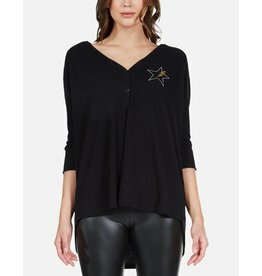 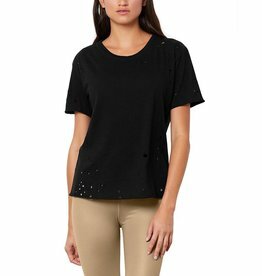 Metallic Peace Lightning Star Printed on Ultra Soft Lightweight Henley in Black by Lauren Moshi. 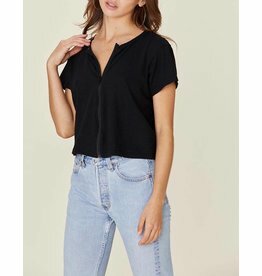 Our super soft terry fabric features a fine perforation with a criss-cross open back. 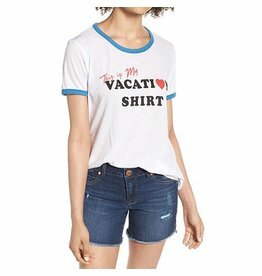 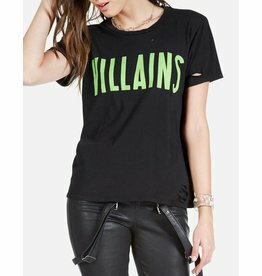 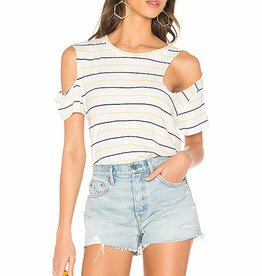 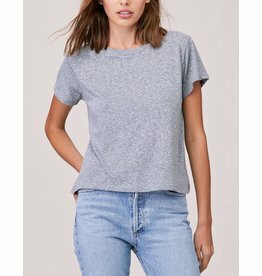 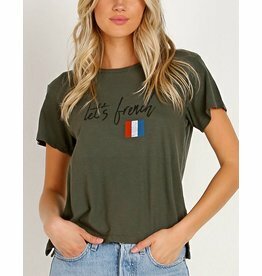 When you're on vacation you don't want to have to worry about anything, especially picking out an outfit, so this ringer tee does the work for you. 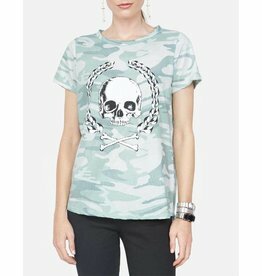 skull CrestÂ Printed on Super SoftÂ LightweightÂ Tee . 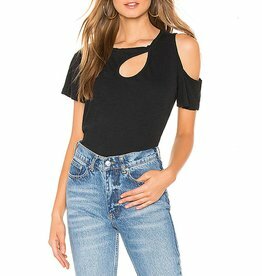 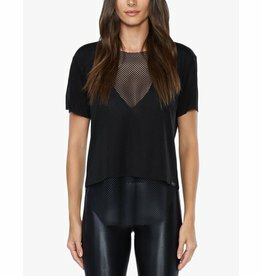 Relaxed fit v-neck t-shirt with open mesh under layer. 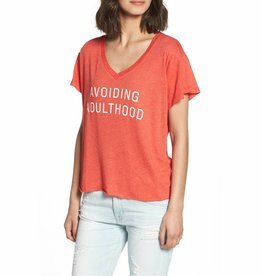 The perfect daily mantra is printed at the front of this breezy crop tee in a soft, stretch-modal blend. 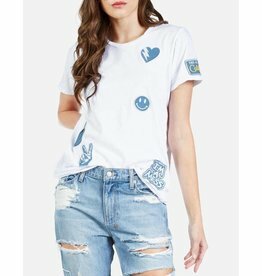 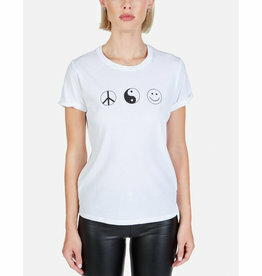 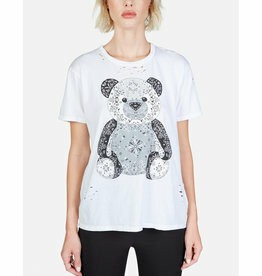 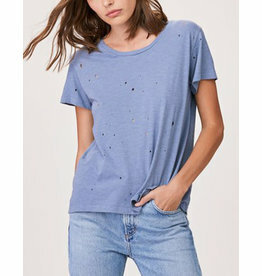 Denim Happy Love Cali PatchesÂ on Super Soft Lightweight Vintage Tee inÂ White by Lauren Moshi. 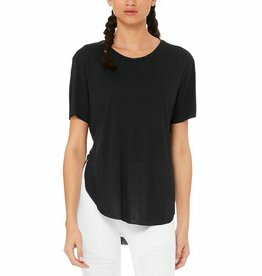 Black tee with functioning zipper front detail.